"Is my YumeTwins box here?" "I heard the mail lady, is my YumeTwins Box here?" My daughter always gets excited when her YumeTwins box arrives. She's into things that are kawaii (a Japanese word for cute), so she's always eager to see what the box holds. Naturally she screeches as she pulls out each item. She got some kawaii adhesive bandages. "Perfect, because I'm always getting hurt," she mused. "For the first time in my LIFE, I'm trying toothpaste from Japan!" *Smacks her lips* "Minty. Just like American toothpaste, basically." "I see girls dressed up like Sailor Moon all the time on the Internet." She got some Sailor Moon playing cards. She got Re-Ment Sanrio and Japanese Goods Blind Box. 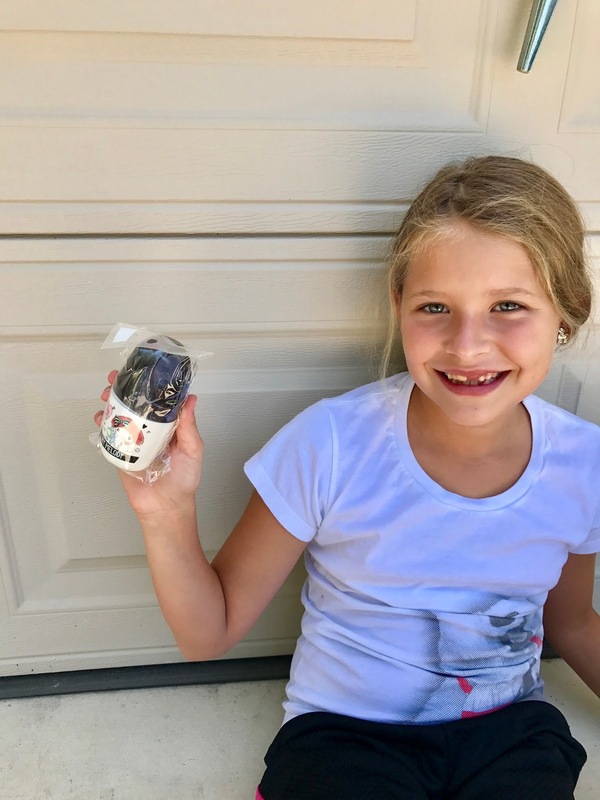 I guess this is the equivalent to those Minecraft blind boxes she gets? One of the cats started batting one of the toys around and she was like, "Stop it! These are special. They're from Japan! They're kawaii." She also got a Disney Squishy "Potemochi" Plush. "It's Winnie the Pooh! A fat Winnie the Pooh. And he's soft. And squishy! I love him!" Naturally, she's ready to see what's in her next box. 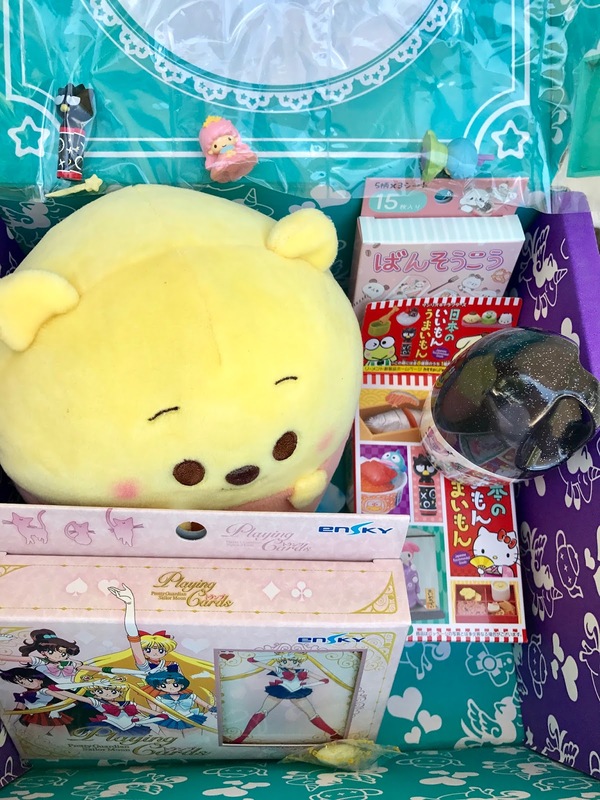 If you want a box full of kawaii goodies, you can sign up here AND you can save $3 with the code AML3. What was your favorite item in the box? I personally love the squishy Pooh. I was not familiar with a YumeTwins box before reading your post. My own daughter would go CRAZY for all that adorable kawaii stuff inside! Love how excited your daughter gets over opening the box and taking one thing out at a time to enjoy. Must check into this YumeTwins box thing. Ahhh! That is the cutest gift box I've ever seen! I love the plushie, and we can't forget Sailor Moon! She is so cute! Her face just glows with excitement. It must be so much fun to get a Yume Twins box full of surprises. 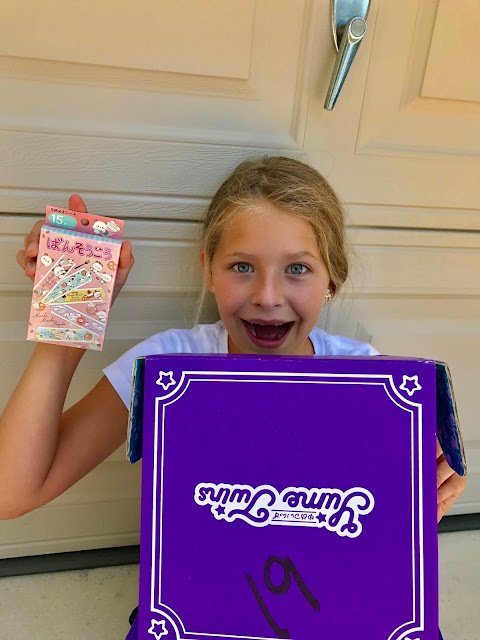 She's so right- a lot of the stuff in the box is so "Kawaii"! Subscription boxes are so fun- especially when you love a lot of the items you get. I 100% get why she is so excited?! Who would not be with all the goodies? I used to love Sailor Moon! Oh, girl. My daughter loves blind boxes, and watching people open toys on youtube? I guess thats a thing now. Any way, I am going to head over to check this out asap! I love everything that she got! These boxes are so much fun! Too much cute! I love the Winnie the Pooh. Scarlet and Des are the same way when they expect something in the mail. Oh my goodness that Winnie the Pooh is absolutely amazing! I totally want it and I'd love to try the toothbrush travel set as well. I'm going to have to look into this box as it is way to cute! What a cute box. Love it! Cute box!! I have never heard of this subscription box before!! It looks like daughter really loved it! I've never heard of the Yumetwins box, or Kawai products. My daughter would love to receive something like this. That squishy Pooh is the best! I think my Daughter would love this box. I like to give subscription boxes as a gift. I've never heard of kawaii products but it sure looks like she loves the components of the box. Now this is the box my little Kawaii lover could get into. She just LOVES stuff like these. My kids are always talking about Kawaii stuff. This looks like such a cute subscription box! Not to mention that they love getting mail too. 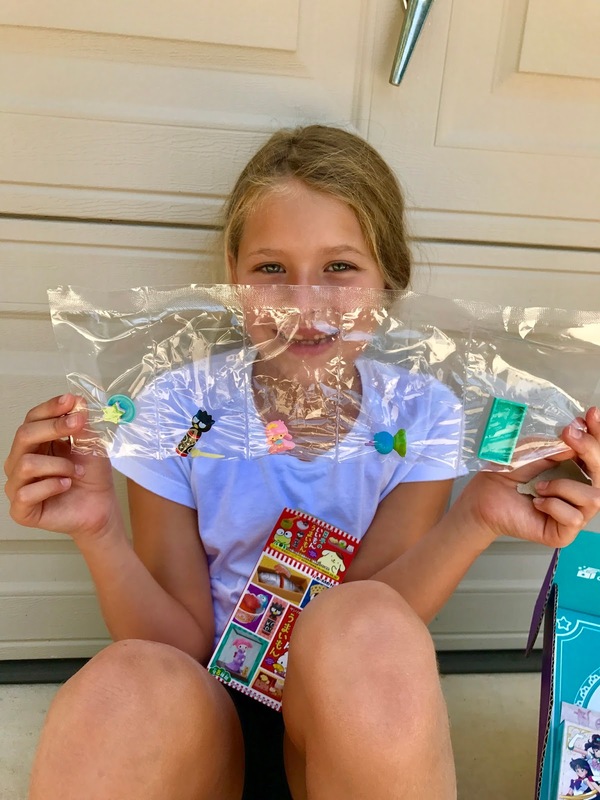 Your daughter looks so happy to check out all these goodies! She got all kinds of goodies! What a sweet deal. I almost screamed when I saw the Sailor Moon cards. Oh my goodness, SO many memories. What a cute box! My twin granddaughters would love this kawaii box. I want the Potemuchi stuffed toy. 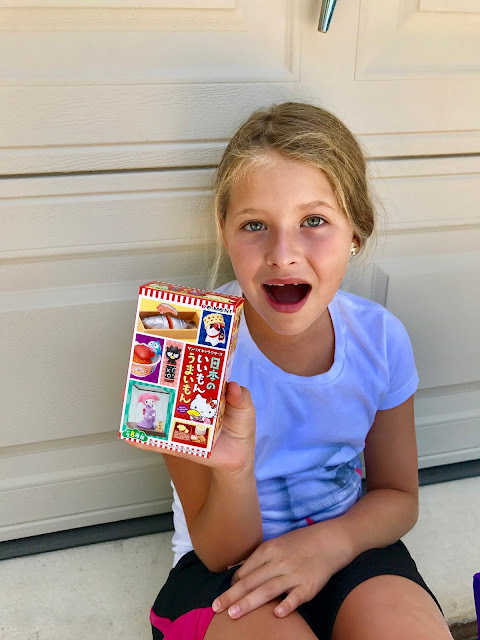 My daughter and I LOVE Kawaii products and we MUST get this cute sub box! I love every thing in it and yes I am not embarrassed to admit I am almost 50 years old lol. There is a little girl in all of us. What a cute subscription box!! I know my nieces would love something like this!! All the things in the box are so cute. I can see why your daughter is so happy. I am sure my younger one would love it too. Man why didnt they have this for me as a kid? I am a huge kawaii fan and all of these products are fun for a fun loving kawaii enthusiast! How cool is that! Do they have this for boys as well? I would love to get something like this for my youngest boy. I love the little plush toy. Sooo cute! Great box! My daughter would love one of these boxes for her birthday. Awe those are the most kawaii things a girl can have. MY daughter would absolutely love those. My daughter would like to this because she is all about Asian culture lately. 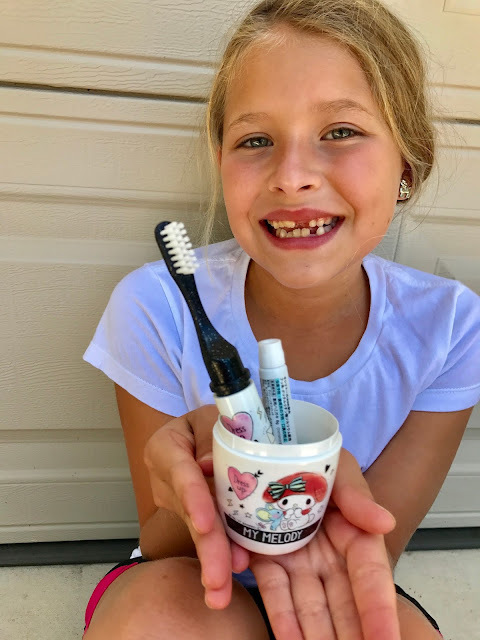 I think she would love to try the toothpaste! Everything's so adorable! I think this box is definitely worth getting and it's something that my kids will enjoy as well. There's so many things that I love about it! Wow she got a lot of products! I bet she loved dipping back into the box to pick out the next item! Definitely something I would consider purchasing for my younger cousins. SO ADORABLE! I can imagine my daughter going crazy over this yumetwins box. I think the plushie is the cutest but all the other items are pretty amazing too! This looks like such a fun box to give or receive. 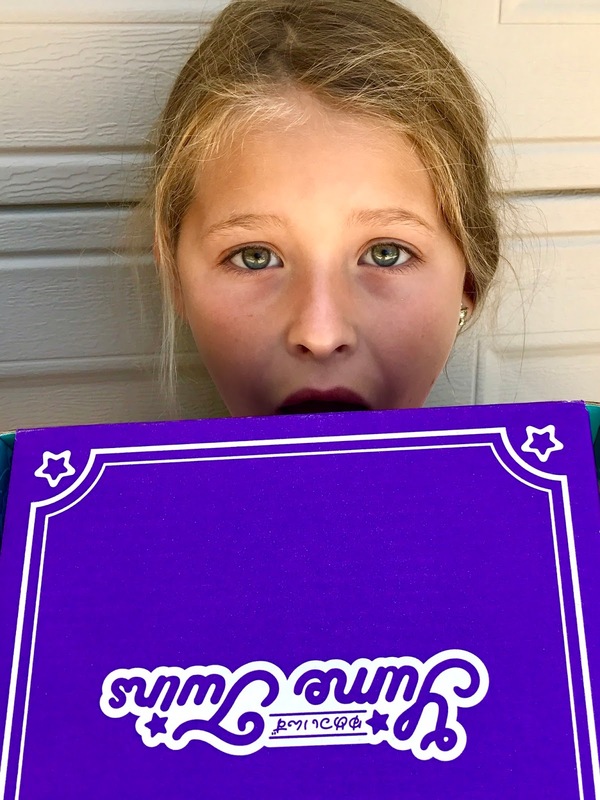 I think my 6 year old daughter would lvoe to check out this box! This is look totally the cutest box ever! I'm pretty sure that my nieces will surely love it. That intro reminded me of "Are We There Yet?" haha. That Winnie the Pooh is beyond adorable. The fatty Winnie the Pooh is what am eyeing for! Lovely kawaii box. What will be her next goodies? The girls would go crazy over this box especially the stuffed animal. Thanks for sharing. I love this box. The Sailor Moon playing cards is definitely my favorite. Thanks for sharing. Wow how cool!! this looks like such an awesome box!! That's a cute gift box. I want to try the toothpaste from Japan! My kids would love to get this box! This makes me wonder if this would be a great motivation for a child learning to speak Japanese do you think? That looks like such a fun box! 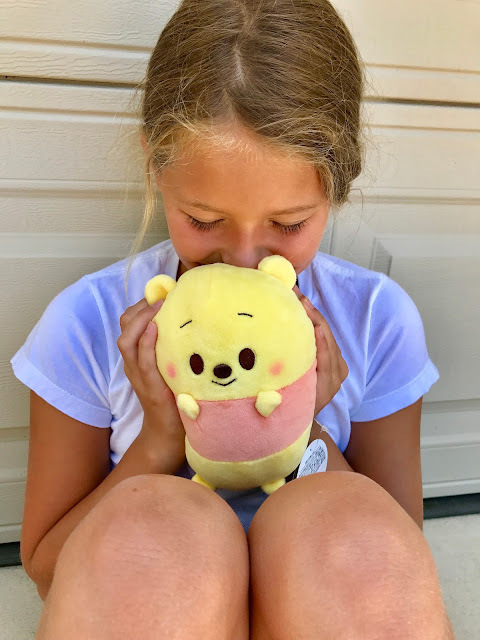 Kawaii sounds so cute .Japanese goodies which are fun .Disney Squishy "Potemochi" Plush is my favourite from the stash .It is like a fat winnie the pooh! My son finds the things in Japan so cute too. He was actually wide eyed looking at all things Japanese when we were at the Tokyo airport. I think he's going to enjoy receiving a box like that. The plush is very adorable here. 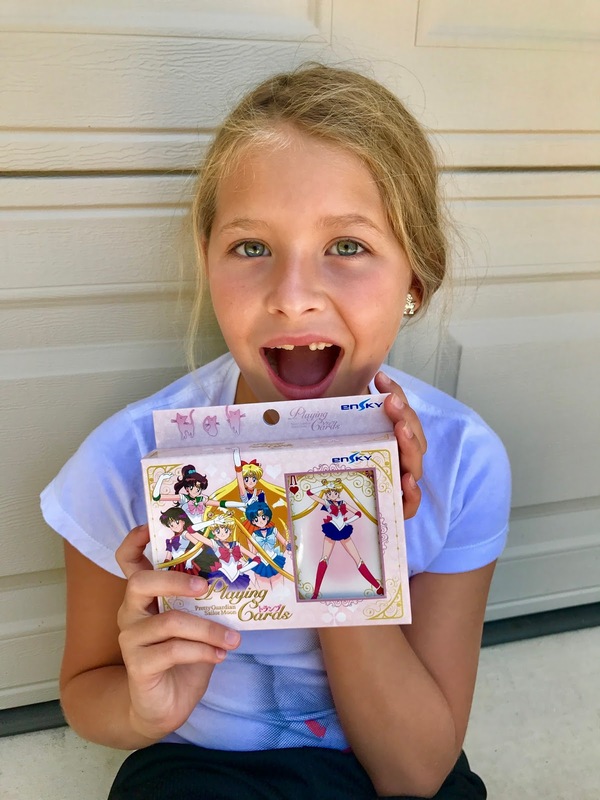 And I am sure that my daughter would also love the sailor moon cards. I think it would give me a good opportunity to teach her some card games. We haven't played too many together and she would have fun learning. What a cute bunch of goodies and your daughter looks so excited. I bet my grandkids favorite item would be the Disney Squishy "Potemochi" Plush. I love this!!! who doesn't love goodies. The squishy pooh is definitely my favorite. 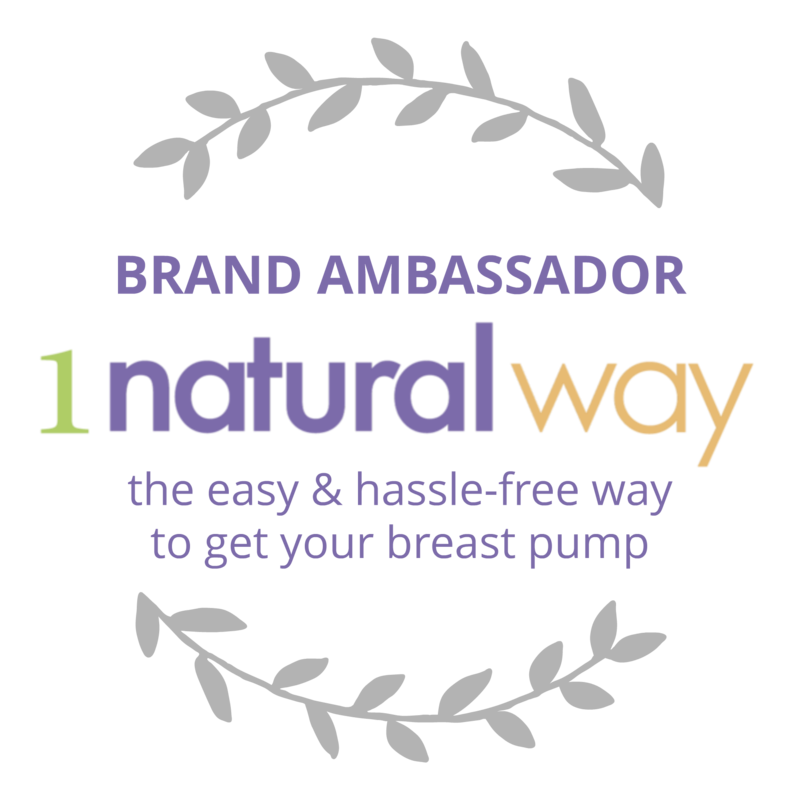 I love trying new subscription boxes. Haven't tried this one yet though. The My Melody Dental Travel Kit looks super cute! I am not familiar with this subscription box but they have cute goodies. Wow there was a lot of goodies in that box! My oldest would love to get one of these.